Greedy goblin: What is HERO? PL is back in Catch, massacring HERO again, setting up killer POS to warp careless ones into it and play stupid self-destruct games. HERO can't defeat PL. HERO can't even avoid someone defecting every second week. Yet HERO is capable of keeping their space from PL. How? Because it's not their space. It's the space of PL. HERO is just renter there. The only thing that differentiate them from B0T is that they don't pay in ISK, but in loss reports. The deal is simple: every time PL is bored, HERO lines up a bunch of players for massacre. Another "victory" is more important to PL members than a bunch of ISK that they already have enough, judged from their supercapital armada. The question isn't how can HERO leaders do it. It's obvious: they get space-power and crapload of ISK from the moons. The question is why do HERO pilots show up day after day in fleet without the slightest chance of victory? Why don't they quit being farm animals waiting for the butcher and play on their own terms? I mean even faction warfare is more fun than this! PS: hahaha, Hell froze once again! Seraph achieved what only Alex Karrade could do before: make the commenters of EN24 side with me! PS2: Talking about newbies from Reddit. Bling + subcap + PvP is bad. Finally, the true nature of Forged of Fire. While you enjoy writing a blog and station trading. Hero has fun flying internet spaceships and has a blast shooting whoever comes to wherever we live. PL isn't the first and they won't be the last. If you decide you want to go pew pew in Catch that would be cool. 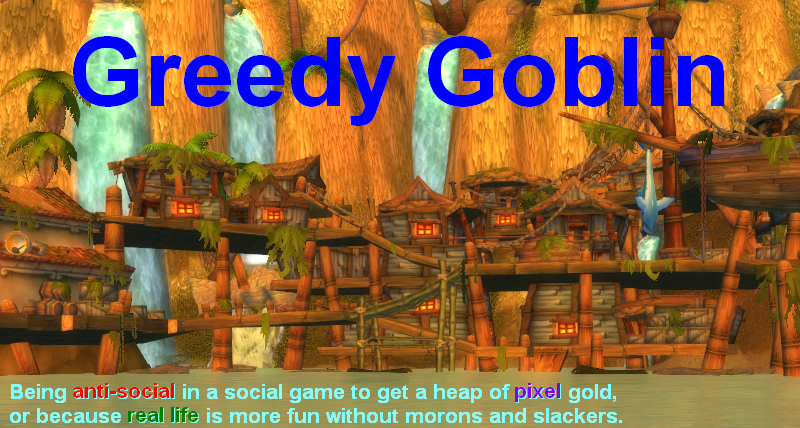 I'll even personally invite you to come on down and teach you how to have fun pvping. Not just EN24 commenters, but CFC commenters on EN24. That was actually pretty amusing. Renting would imply there is some sort of agreement. AFAIK, there isn't. PL isn't in Catch because they're bored. They're in Catch because they've been paid to attack russians. If the fact that PL could take our space if we don't fight them means it isn't our space, then you don't own anything in RL. After all, the government could take your money/freedom/etc if you don't pay taxes / follow the law / etc. Are you "renting" freedom from the government? No. So, we aren't renting our space from PL, either. I'm arguably part of HERO leadership, and I certainly don't feel space-powerful, nor do I get a personal gift of alliance ISK, from moons or otherwise. I'm not aware of any other HERO leadership who does, either. We aren't that rich. We need that ISK for SRP. Sure, HERO likes to win, but winning isn't why we play. We play to have a good time - whether we win or not. Sure, winning helps, but you can have a good time even if you "lose", and a "win" doesn't guarantee the battle was fun. Often, sovnull folks forget that. Brave Collective is the #1 alliance by player count for a reason. That reason is simple: we're the most fun group to fly with in nullsec. Why do you think the viral "this is EVE" video referenced us more than any other nullsec power? Because we can show players a good time, and ultimately that's what gamers want, a good time. So yes, we're going to continue fighting PL, and sometimes dying to them, because we're having fun doing it. As BNI says, "never not undock". Don't be ruled by fear or negativity. This is a game. Have fun. Maybe I'm reading thos comments wrong, but most of them seem to be insulting you. There's a few insulting seraph too, but I wouldnt; say many are siding with you, because your idea that you can pay MOA for their service even though they have no wardec fees to pay, yet you can't pay mersc any more than the wardecs and expect them to loot the field for their pay is unbelievably disrespectful. Anyway, I guess highsec is back to being pretty safe now since you basically ruined any chance of you ever getting a group to side with you their again, and all because you refused to pay marmite fairly. Well done. MoA needs money to continue fighting, because they lose ships fighting CFC. Having 60% ISK ratio is pretty good when you are facing the largest coalition, but it still means that they have to replace lost ships. Highsec mercs have 99% ISK ratio, since freighters rarely kill them. Also, I'm preparing a nasty post (with numbers) about highsec mercs. Maybe they change their minds. And even if I'll never get a new highsec merc, why should I worry, when MoA performs better than them? Hey Im having a whale of a time with this, thanks for the fun :) could you comfirm or deny for this opnion of mine I posted? Actually he would if you showed him the numbers Moa does. Hes using cost analysis to try to maximise his isk spent/damge done to goons. Wether you agree thats smart or think hes missing the point is neither here nor there: its the metric hes using. If you do his magic "x" number he will pay you "y"isk. 2x=2y for your bank and so on. Or thus is my understanding." That thread is heaps of fun. Thanks. I don't know what it is you do that brings out the foot-marksmanship in mercs, but please keep doing it. The explanation is simple: line members don't care to own sov. or be renters (and when they do, it's easy to abuse them, sometimes by themselves). What they are interrested in is "big fights" where they "kill" shinies. They don't care to lose their entire fleet as there is SRP anyway. Also, killboard bias may play its role here too. You ask why HERO pilots show up to fight day after day? Why do MOA pilots show up day after day? At least HERO pilots are there defending SOV. They may not own much of the map, but they are closer to "winning" Eve than MOA is. @Jim L: MoA goal is killing Goons/CFC and they are the #1 CFC killers. @Ryanis: good point, if they kill something they won, if they lose a ship, it will be replaced. PL likes to farm everyone, it isn't a hero thing. The reason PL likes to farm Hero right now is because everyone else is tired of their game. PL claims to want good fights but then makes sure they can't lose, this has created the only defense possible (don't undock). An example from last spring: PL brought in a solid fleet doctrine into provi we had the numbers but were light on logI. So the fight would have most likely gone Pl's way. However because it was only a "most likely" PL dropped carriers and supers to "make sure" it went their way. We choose to not engage and pos'ed up. If I had to guess I would have said PL had a solid 80% chance of reps holding and welping us without the carriers and supers. But PL will not accept an 80% chance of victory so they dropped and then they whined in local about "no good fights". The point is Hero unlike everyone else in eve doesn't care about a "chance" at victory. Which is a cool thing for them I guess. I told you Tora would be on there. @Provi Miner: that's obvious. The question is why HERO doesn't follow the "don't undock" rule? Anonymous: being on the 14.th position isn't much different than not being on it. Even if it was a backroom deal, Tora was pretty much screwed. Anyone can be number 1 CFC killers if all they did was spend every day, every hour, every minute trying to kill CFC AFK ratters. It really doesn't take much know how. When you have an alliance that big and a region (Deklein) that congested, there's bound to be idiots that don't watch intel channels. That being said, Brave should blue ball the buggers at times as part of their strategy to reduce their enjoyment. 1. While HERO doesn't win the war, we do win quite a few battles, which is fun in itself. As a HERO member my k/d ratio is something like 300:1, and I am isk positive by a looooong margin. If this is "being farmed" then, well, please continue farming me. 2. Catch is the only place with any consistent medium to large scale content in 0.0. While I could join one of the alliances who farm HERO you get more content being on the hub of the wheel, rather than one of the spokes. Also, no need for boring gate travel, since everyone comes to you. 3. As far as I'm concerned any meaningful meta-political game ended with the Halloween war and won't resume until Sov 3.0. I couldn't care less who is "winning" or "losing" or has "the power" at the moment. HERO will undock if they see any sort of fun to be had. We give fights. That's why Catch is so active if you look at Dotlan. Not just PL. In the little system I live in we see everything from Camel Empire to Hard Knocks, NC... even the lost stray Goon. Even if I'm only online for 2 hours as many as 7 fleets can pass through varying all the way from 2-man gangs right up to 100-man cruiser NPSI fleets. It's a conscious decision we made in the pursuit of creating fun for ourselves in the game by the simple way we choose to do things. When there's a fleet out there we go through a simple process of placing our ships in the hat and the FC who wants to can then see if there's even a slight chance of making a sensible engagement out of it. And we have had PL lead FC's confirm why they are around in various other channels you don't seem to have insight in. Their decision was made simply because we are willing to make a go for it whereas other groups are more likely to ignore fleets in their space. There are no mythical GM's in this game who are going to hand you things to do on a silver platter. You increase your fun per hour only by choosing to interact with everyone around you. And not much you can do about that if you're stuck in a station.